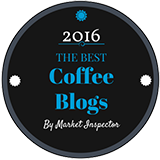 Our review of a Malawi peaberry coffee from Pinebrook Coffee Roasters. Many thanks to Norman Eisler, the founder of Pinebrook Coffee Roasters, for sending us some of his coffees. Based in White Plains, NY, Pinebrook is a young company but already seems intent on sourcing and roasting some interesting beans. And selling them at a reasonable price. Of the two bags he sent us, we decided to try the dark roast Malawi peaberry. How come? Because after looking back through our reviews over the last 10 years, I see we have never reviewed a coffee from Malawi before. So thank you Norman for helping us fill that gap! And what’s a peaberry coffee? 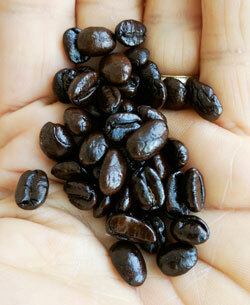 If you don’t already know, most coffee cherries contain two seeds, or coffee beans. You get a peaberry when you open the cherry and find just one bean instead of two. 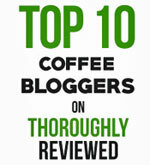 Is peaberry coffee better? Not really. But it does taste a little different from regular beans from the same harvest. Typically a peaberry coffee will be a little lighter and brighter in taste, with maybe a touch more acidity. 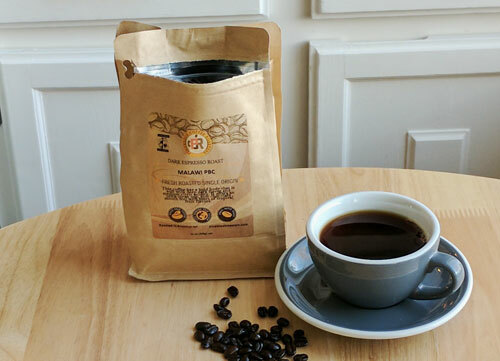 This Malawi peaberry is a Fair Trade Coffee, grown in the highlands along the shore lines of Lake Malawi. It’s very dark roasted, like a dark espresso roast. So we were interested to see how that darkness in the roast would work itself out with the lighter, brighter tones one might expect from the peaberry beans. Truth be told, it took us a couple of tries to get this coffee right. 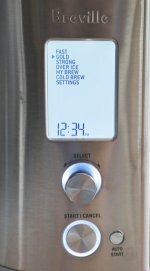 The first brew was too light. So we tried again, upping the proportion of ground coffee to water. It’s not often we have to adjust the settings like this. But it was worth it. This is a surprising and interesting coffee. With a roast that dark, we were expecting some of the lighter, floral tones to have burned off. But that wasn’t the case. In some ways, it tasted more like a medium-roast coffee. Probably the peaberry influence at work. It has some natural sweetness too, maybe a little citrus and blueberry, and a mouth feel that fills with a slightly bitter chocolate taste at the end. It was great to try a coffee from Malawi after all these years. Full of surprises, but a nice, clean cup that I thoroughly enjoyed. You can learn more about this and their other coffees at the Pinebrook Coffee Roasters’ website.